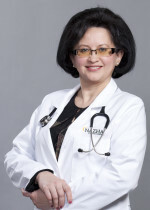 Dr. Nazha, a local Linwood resident, is board-certified in medical oncology and internal medicine. He was Chief Resident at AtlantiCare Regional Medical Center (ARMC) and completed his Hematology/Oncology fellowship at UMDNJ Robert Wood Johnson Medical Center. Throughout his career he has served as Chief Attending Physician in the Department of Medicine, Director of the Division of Medical Hematology and Oncology and Director of Hospice at ARMC. Dr. Nazha has been in private practice since 1987, and is dedicated and compassionate in the care of his patients. Dr. Wang completed his fellowship in Medical Oncology and Hematology from Hahnemann University Hospital in Philadelphia. He received his medical degree from Nanjing Medical College in China and completed his internship and residency at Beth Israel Medical Center in New York City. Dr. Wang has a passion for Cancer research, particularly at the molecular level. He received his Ph.D. in Microbiology and Immunology from Drexel University and completed a postdoctoral fellowship in Molecular Oncology from Yale University. 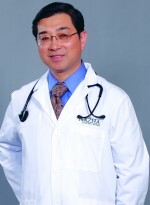 Dr. Wang is very knowledgeable and caring physician who is also fluent in Chinese. 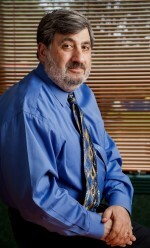 Dr. Dalzell is a graduate of Yale University and Rutgers University Medical School. He received his training at the Cleveland Clinic, where he was Chief Resident. 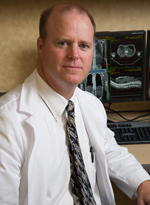 He is board-certified and has practiced radiation oncology in South Jersey since 1992. Dr. Dalzell is a kindhearted physician; devoted to delivering exceptional care to the wonderful patients he treats. Dr. Stoyko received her medical degree from Ivano-Frankivsk State Medical University in Ukraine. She completed her residency in Internal Medicine at Richmond University Medical Center in Staten Island, New York and her fellowship in Medical Oncology and Hematology at New York Medical College – Westchester University Medical Center. Additionally, she served as Chief Fellow during her training. Dr. Stoyko’s clinical areas of expertise include all cancer types and blood disorders, but she maintains a special interest in the treatment of breast and gynecologic cancers.